This card is compiled from a painting from Mint Artists Lakiya Ealy, who worked in our Creative Summer Jobs program for two years. The simple message 'Believe" works for many occasions, from graduation, to illness to life changes. The card has a small butterfly but no message inside. It is printed on high quality paper and is available as a single card or in a package of five cards. These high quality greeting cards all come with a matte finish and an envelope. 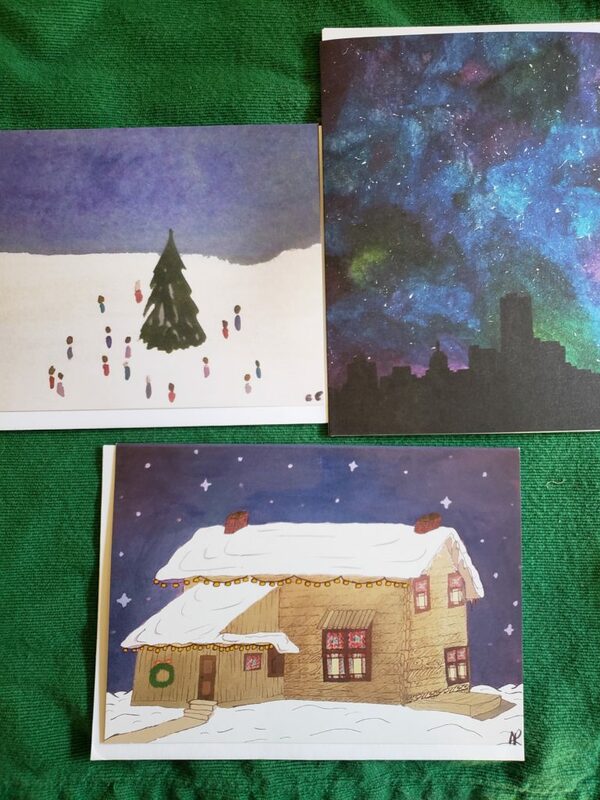 Artists names - Alana Ryder, Espacia Fotiu and Maisha Rahman - are on the back of each card. This limited edition print is signed and numbered by Mint Artists worker Lia Massey. Lia is a senior at Cass Technical High School and the daughter of Mint co-founder Hubert Massey. (Yes, that Hubert Massey.) 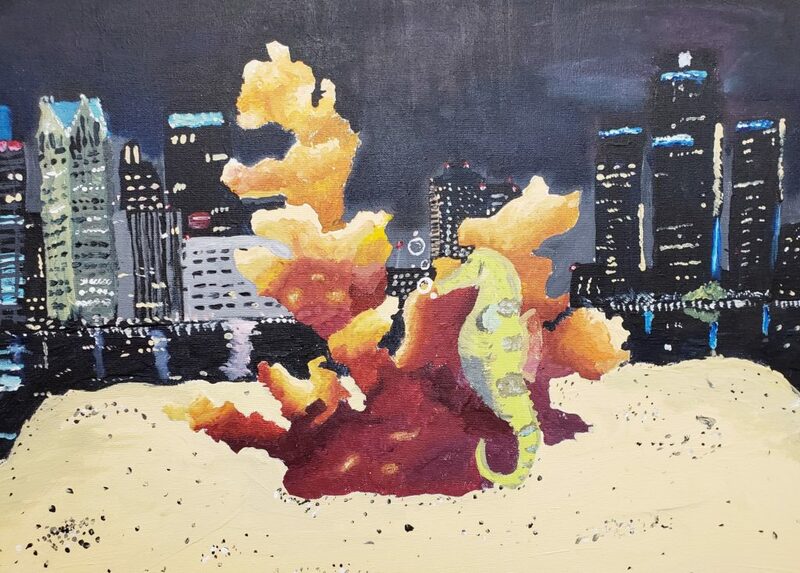 The original of this 2018 Paint Detroit with Generosity painting was donated to the Belle Isle Conservancy. But you may own a high quality print - a giclee' - and support Mint programs when you purchase. Dimensions are 16 inches by 20 inches. This card has abstract hearts that hint at love and togetherness without screaming it. It also has a small abstract heart inside and room for your message. It is printed on high quality card stock. This limited edition print shares the love and pride in Detroit, and is more than halfway to sold out. A high quality greeting card printed on mat (nonglossy) paper. Printed in the U.S.A. Each card has the artist's name on the back.